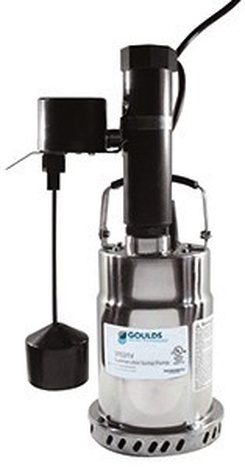 Goulds STS sump pumps are energy-efficient residential sump pumps available in two models the STS21, and the STS31. The 1/4hp and 1/3hp pumps are stainless steel and feature less amp draw for greater energy efficiency. These wastewater / Drainage pumps are specifically designed for the following applications, basement draining, dewatering, water transfer and filtered effluent.